We are proud to have been awarded the American Animal Hospital Association's top honor, AAHA accreditation. Bassler Veterinary Hospital is the only AAHA-accredited practice in the greater Newburyport area, and is among the select 12% of animal hospitals in North America with this distinction. Unlike human hospitals, veterinary hospitals are not required by law to be accredited. Voluntarily subjecting our hospital to AAHA's rigorous review is our way of demonstrating transparency to our clients and the community. 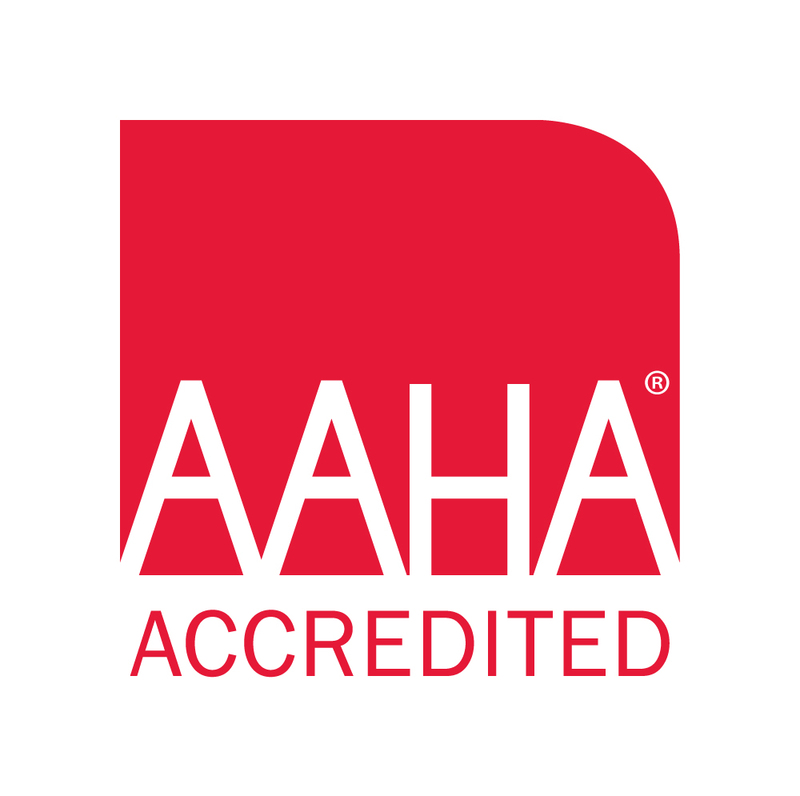 AAHA accreditation is the standard of veterinary excellence. To be eligible for AAHA accreditation, Bassler Veterinary Hospital was evaluated on 900 standards in 18 different categories that assess patient care, anesthesia, surgery, pain management, safety protocols, cleanliness, equipment, laboratory services, diagnostic imaging, client service, veterinary knowledge, and other key areas of pet health care. We are delighted to say that we passed with flying colors, and received a perfect score in multiple areas including dentistry and contagious disease. At Bassler Veterinary Hospital, we are dedicated to delivering excellent care to your pet. My staff and I live by our mission statement, "We treat clients like family, and their pets like our own." Because pets are our passion. And keeping them healthy is our #1 priority.